It’s Super Bowl weekend, which means many of us will be snacking on the couch, and offerings in the chip and snack aisles have doubled. 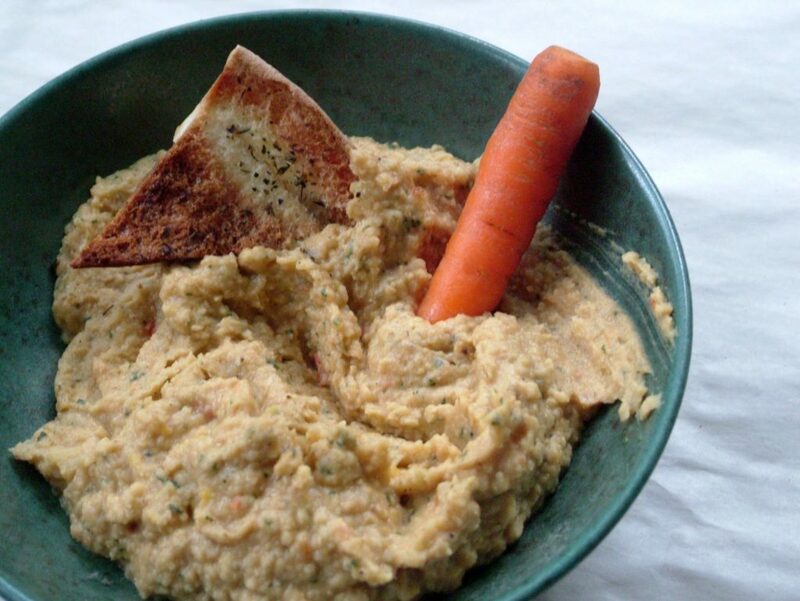 But snacking doesn’t have to be unhealthy – there are plenty of dips out there that aren’t based on mayo, sour cream and cheese (not that there’s anything wrong with that…) – hummus is perhaps the most familiar, but you can in fact make dips out of other pulses, too. This mildly spiced dal dip is made with lentils – inexpensive and packed with fibre and protein, they make for perfectly healthy noshing, whether you dip veggie sticks, crackers or fresh or toasted pita. It can even be made a few days ahead – its flavour will improve with time in the fridge. In a medium pot, cover the lentils with plenty of water and boil for 20 minutes, until very well done, even mushy. Drain them and set aside. Meanwhile, heat a drizzle of oil in a skillet set over medium-high heat and sauté the onions until golden. Add the garlic and curry paste cook for another minute. Add the tomato sauce sugar, chili powder and salt, then the lentils and cook for another 5 minutes. Add the yogurt or cream and cook until well blended and thick. Remove from heat and stir in the garam masala, then sprinkle with cilantro, if you like. Posted in Recipes, Appetizers, Dips & Sauces and tagged dip, lentils.